I love finding apps that encourage children to create something. Here’s a great app that encourages kids to talk via an image. ChatterPix Kids - by Duck Duck Moose allows us to take a photo, draw a line to make a mouth, and then record ourselves speaking, singing or making strange noises! Grab your camera! Let’s ChatterPix! Chatterpix Kids can make anything talk -- pets, friends, doodles, and more. Simply take any photo, draw a line to make a mouth, and record your voice. Then share your Pix with friends and family as silly greetings, playful messages, creative cards, or even fancy book reports. And best of all, it’s FREE! AGES: 6-12. What I liked: Free is wonderful! Not only that, but the app works easily with 3 simple steps explained clearly at the start. I like the way the app encourages kids to communicate - even quite shy children may feel more comfortable talking via an animated image. The finished result is in the form of a little movie kids can find saved to their camera rolls. Below I've embedded the sample video I made with ChatterPix Kids, and the help of my pet gorilla, Gordo. Kids could write something for their image to “say”, or just wing it and practise speaking off the cuff. Both options are important. Students could use an image to give an opinion, recite a poem, persuade someone about something, talk about themselves, deliver a report, give a presentation, or tell a story. There’s also a ChatterPix for grown-ups, and ChatterPix Kids is available for Android, and for iPhone. 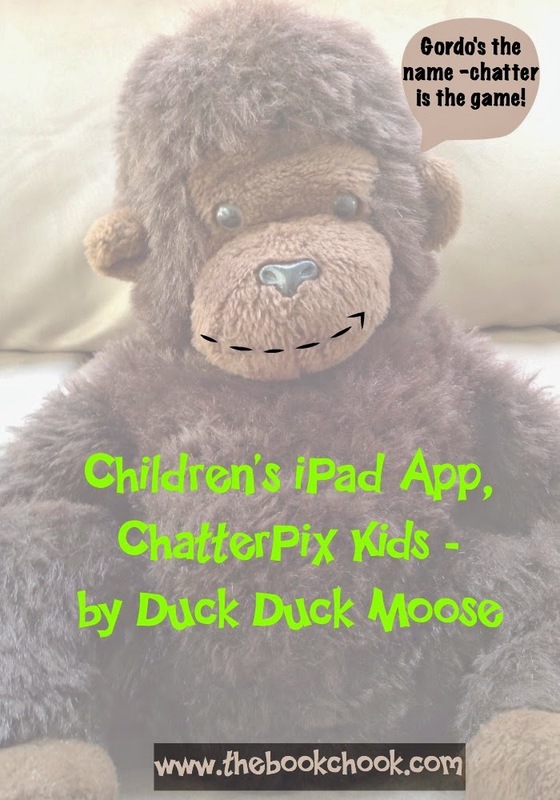 Duck Duck Moose has an excellent reputation as an app developer for children, so I’m glad I was able to tell you about ChatterPix Kids. There are no sharing options in-app, but the video can be emailed and uploaded to Vimeo or Youtube via the Camera Roll. I also like that Duck Duck Moose doesn’t collect personal information.